An Outsider Really in Charge? -- NWO Sidelined. Blankfein to Paulson: "Ok, Now What?" Buy gold - but make sure it's real! Fake, Fake, Fake, Fake, Fake! Haha!! Seattle Restaurant puts TSA Workers on "No-Eat-List"! Oh, crap ... Ron Paul won the Straw Poll at CPAC. How can we spin this sideways? TIGER Grant Program to Blame for Collapsed Bridge? Where'd all the jobs go? Who is/are the FISA Court justice(s) that signed off on the warrants? Why do I support the clown over the crook? Why is the North Dakota economy in such good shape? This has been a chaotic year for me. I transplanted from Japan back to the US where I live and work now – don't have nearly the amount of disposable time to think and write. BUT, I am working on a book as well as a "presentation", by which I intend to, uhm , I guess what I want to do is take the listener on a trip starting with 9/11 and tracing all the way back to Egypt and Babylon – covering everything important in between of course. Should be interesting and fun. Sorry I haven't had time to post much here in the meantime. Subscribe to comments with RSS or TrackBack to 'Update'. We'll see if I have the chutzbah to pull it off. 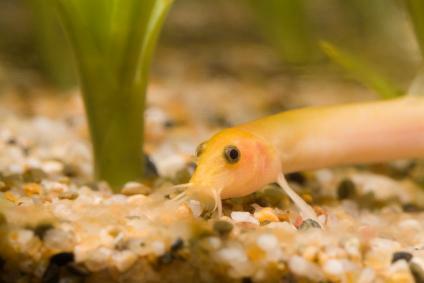 In Japan they are called the “Dojo Loach” because it will become very active and swim erratically in response to sudden changes in barometric pressure, temperature or impending tsunamis. Not much good in Arizona…but good to have in Hawaii. Sanders…have you ever considered Hawaii to write and record? Elreb, are you in Hawaii per chance? Originally, I lived on the north shore of Kauai near Hanalei Bay and “Puff the Magic Dragon” but now I live in the ancient capital of Maui = Lahaina…home of the great fish-hook that slowed down the Sun god Ra. Funny as it may seem…today the “Lahaina Jodo Mission” is celebrating the O-Bon festival. The Lahaina Jodo Mission was founded in 1912 with the support of many Japanese immigrants then working in the sugar and pineapple plantations. After the original temple was destroyed in a fire in 1968, the members of the Mission decided to build a Japanese style Buddhist temple on the beachfront property that provided an idyllic setting. The temple is located on Puunoa Point in Lahaina, the first capital of the Hawaiian Islands, and overlooks the beauty and serenity of three neighboring islands Molokai, Lanai, and Kahoolawe and the West Maui Mountains. The Great Buddha and the Temple Bell were completed in June 1968 to commemorate the Centennial Anniversary of the first Japanese immigrants to arrive in Hawaii. In 1970, the main Temple and Pagoda were built with the generous and wholehearted support of the members of the Mission as well as the general public. Masao Omori, a Japanese philanthropist, donated the expertise of Japanese craftsmen that was necessary for the construction of the buildings and the casting of the Buddha. The present temple grounds have been dedicated to all our ancestors who have passed away. We are indebted to the entire Jodo Mission family throughout the State of Hawai'i, and to our friends who have supported our Mission over the years. It is our hope that visitors of all faiths who visit our temple grounds will develop a greater understanding and appreciation of Buddhism. The property is owned by the Lahaina Jodo Mission. Maintenance and improvement of the premises are dependent on voluntary contributions. Well, by being in Hawaii you are daily in touch with my Japanese influences and, also, on the same Island(s) as WhatReallyHappened,com …what's his name? — something Rivero? I do have a grasp on what really happen from “15 billion BC” up to “Cyrus the Great”. After that…I hand the ball to you. What is really funny…is that my dentist is Japanese, my son’s boss is Japanese and my good friend…who manages the food store is Japanese. In comparison, the average worker is somewhere between Tongan & Filipino. Personally, I would have a hard time living on the mainland. Excluding Oahu…we have very little crime. Super Thanks! You presented the idea I have been pushing forward. It is The Elite (regardless of their Ethnic origin). Your presentation will be enhanced with a Slide Show or Website so that "We, The People" have time to reflect. I will pass along the info in your video to see if this can be incorporated into our friends website: http://Sail.To/DU666&nbsp; Finally, I think we are running out of time. The Elite has made it clear that 2012 is "Too Good To Let Pass" for "The Super Big Event" (name after the JFK Conspiracy Title). Next time, mention the great Smedley Butler who first exposed the Fascists who The Propaganda Machine calles: Neo-Cons. Got to push for Paper Ballot before it is too late. Electronic Ballot is Rigged (100% manipulated by the Contracted Corporation that cannot be cross-checked). God Bless All The Fighters for The Truth! Sorry for the typos (too tired and old). Just to recap my advice… Modify the video (call it UROKO 2 – "For Dummies") by inserting slides (i.e. much more than you have done). As in a slide presentation, give a Guide (Table-of-Contents), then go section by section. Remember we must teach the people with the least knowledge (those trained to be glued to the TV or watching distracting material). Let the Zombies awake with the Medicine of Knowledge. Those with teaching abilities should use their talents to help the Junkies created by the Distracting and Confusing Propaganda Machine (of The Elite). Thnx Volodia. It’s a matter of time – time at my disposal to even finish my movie. I’m trying to make a living, so there isn’t enough of it … time. Thanks for the link and the synopsis.